I can honestly say that I have never taken my good health for granted. But I can also say that I value it more now than ever as I get older and as I meet people who do not have the Gift of a healthy and active lifestyle. When I received MovNat and RKC/SFG Kettlebell certifications, I changed over from being concerned with my own training to being more concerned about the training of others. In fact, the RKC has in its code of conduct: "Recognize that my client's results come first, not my own achievements." As I train more and more people in the safe and efficient use of Kettlebells and MovNat, I am amazed at what a Gift it is to coach people about movement, to watch them progress and to see how lifting kettlebells and moving with confidence impacts other areas of their lives in a positive manner. I realize that I have a huge responsibility -- especially in our small group classes, to keep each person safe, progressing and adapting the programming to what each person needs that day. What amazes me is how well people are doing ... and how I get to be part of that process. Granted it is mostly their hard work, but I am a catalyst -- and that is truly a Gift. I get to help people learn to move and lift with good technique and to practice it safely. And those who know me well know that there is nothing I would rather be doing in my work life. I also see that the training is a Gift for them. They are learning to move and lift well and they are having fun doing it. Don’t discount the fun-factor. If you have fun doing it, you'll stick with it, get better at it, and then it becomes even more fun. 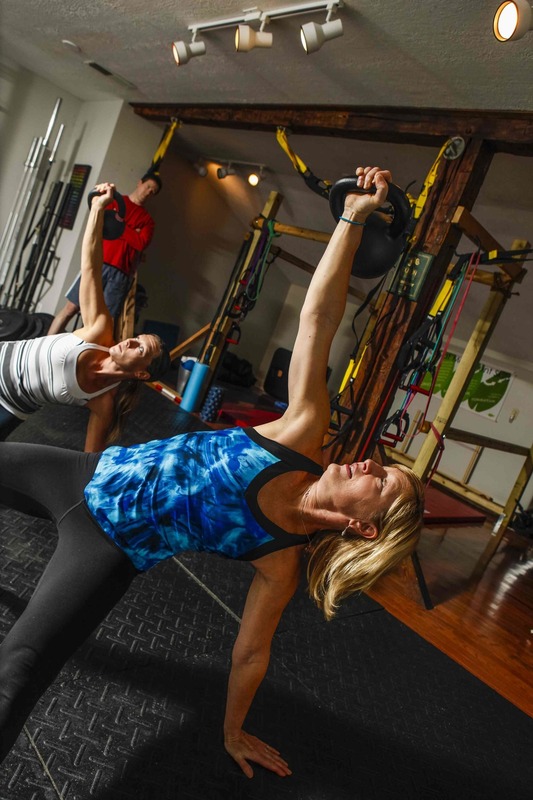 What I see are people in their 30s, 40s, 50s and 60s getting in the best shape of their lives using Kettlebells and MovNat -- without killing themselves. What I mean is they have energy left for work, family, friends and more vigor for life in general. They are being challenged, but safely, and they are part of a community of like-minded people who value and seek a balanced, happy and active lifestyle. They are learning that there are no shortcuts in the gym (or in life for that matter). Our culture of fitness is filled with so much misinformation. You can’t eat poorly, or skip meals, and feel good and do well in the gym. You need to allow time to stretch and foam roll to help prevent tightness and injury. Coffee wil never take the place of water to hydrate for exercise. Your mind has to be 100% on the task at hand or you will hurt yourself. You can’t hide an injury from your coach. It will show itself eventually. Your training is impacted by EVERYTHING going on in your life, such as stress, work, family, food, sleep and hydration, so adjust accordingly. You can't train body parts; the body works together as a whole and learning more about how your body works is important to keep you safe and safely progressing. Get to class if you are healthy to do so, no matter how busy you are; showing up is half the battle. So if are pain-free, and you are willing to put the time in to learn to move and lift with good form, then there are no limits to what you can do under the watchful eye of your coach. So please appreciate the Gift of your health -- and your ability to move and lift -- and use it wisely. Not everyone has this you know. And thank you for allowing us to help you.